Bluehinter's 3D Printable custom parts request thread - Movie Dalek bumper, TARDIS parts, etc. Over the last few years I've periodically helped out other Who customizers by creating simple 3D printable pieces that they can use when modifying their own projects. So, in an effort to give back to the community that has been very supportive of my ongoing 3D Printing Doctor Who project, I've creating this separate thread specifically for requesting geometrically simple 3D-printable pieces for customizing existing Doctor Who figures/vehicles. I previously said I wouldn't do this sort of thing, but I've been doing favors here and there and amassed a small collection of custom parts over the past few months, and there's no sense sitting on these designs if other people can get some use out of them. This is an experiment, and I may have to cut it off if it becomes too time consuming, but for now, I'm willing to help you guys out, as long as it doesn't cut into my own build time too much. Please note that I won't be recreating any existing Character Options pieces/accessories, no matter how hard they are to find. This includes the Pandorica box, the K-1 Disintegrator Gun, Ace's Boombox, Sutekh's canopic jars, etc. As with my own customs, I want to make it very clear that nothing I produce is intended to compete or take away from the profits of CO. The TinkerCAD website I use is basically all boxes, cylinders, spheres, cones, pyramids, and other geometric shaped. If it can be made out of these simple shapes and is symmetrical, I can probably build it for you, but note that pieces smaller than about 5mm diameter won't print on most printers, so don't bother asking for tiny parts or accessories like guns, sonics, dalek arms, eyestalks, Nitro-9 canisters, etc. If you print the object, please let me know how it works out. I won't be test printing any of these, so there's no guarantee that everything will work exactly as intended, but dimensions can often be a fiddly thing, so if a 5mm hole is slightly too small or needs to be moved 2mm to the left, let me know, and I'll try to accommodate. I fully reserve the right to help whoever I feel like, and ignore any requests that are too complex, vague, wouldn't print, or would be wasteful of my time. If you do not have a 3D printer of your own, you can use services like 3Dhubs.com to locate local printing services near you. Rates will vary greatly depending on the size and complexity of the model and how many people in your area can perform the work, but are generally more affordable than going through ridiculously overpriced international services like Shapeways. All pieces are designed to be printed at standard 0.1mm (100 micron) layer height unless otherwise noted. If you are using a commercial printing service, you may need to confirm that they are printing at this level, since it seems a lot of companies jack up their layer heights to 1.0mm instead, which allows them to print significantly faster, but causes all slopes and curves to have a very noticeable ziggurat-like step pattern. 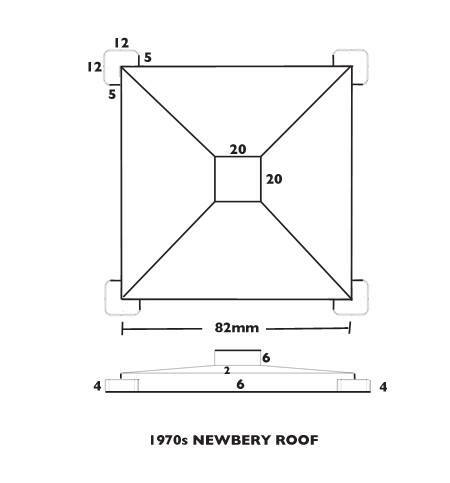 If your custom piece has sloped or diagonal edges, you may have to get really specific and request a layer height of 0.1mm to ensure you get a quality print, which is another reason to find a local printing service where you can talk to an actual human. Last edited by bluehinter on Fri Feb 08, 2019 8:01 am, edited 8 times in total. Got a 3D printer? Print your own 5" scale Doctor Who figures today! Re: Bluehinter's 3D Printable custom pieces - Movie Dalek bumper, TARDIS base, etc. This is super cool if you man!! HUU Doctor Who Society President 4 years running, Avid cosplayer, All round Who boffin! Re: Bluehinter's 3D Printable custom parts request thread - Movie Dalek bumper, TARDIS parts, etc. I know they're not exactly simple, but the patterns on the side of the pandorica with the toy (at least the version that was widely released) were just printed onto the CDs. In the US they had moulded 3D pieces more accurate to the actual prop, but they're quite difficult to find now. Any chance you'd be able to make a piece similar to fit in with the Pandorica toy? 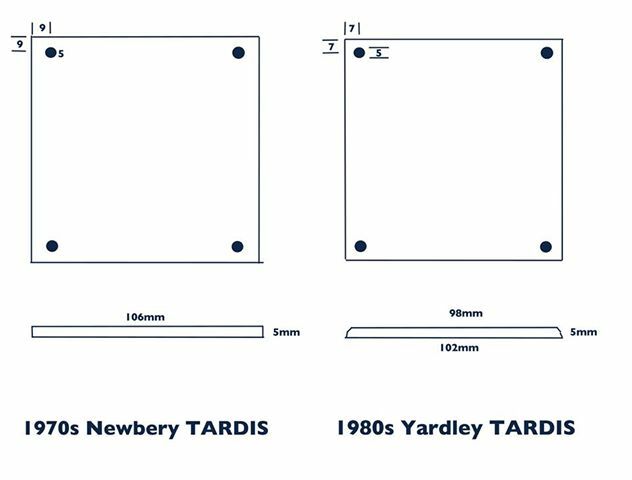 If you do end up doing attempting the Pandorica deisgn, I know there was someone on the TARDISbuilders site who made a vector image of the design and got them cut out of vinyl at a printing place recently. Maybe if you ask they'd send you the file and then you could just import it and give it the correct thickness. Provided Tinkercad doesn't crash immediately anyway, since it's a pretty complex design. who_customs_ wrote: I know they're not exactly simple, but the patterns on the side of the pandorica with the toy (at least the version that was widely released) were just printed onto the CDs. In the US they had moulded 3D pieces more accurate to the actual prop, but they're quite difficult to find now. Any chance you'd be able to make a piece similar to fit in with the Pandorica toy? Sorry, I should specify that I won't be recreating any existing Character Options pieces/accessories, no matter how hard they are to find. It's got some weird texturing going on, and appears to be solid, which doesn't make it ideal for printing, though if someone else here wants to carve it up to make it more printer friendly, be my guest. Would you consider working up the Sontaran gun and helmet from "The Two Doctors?" Life's too short to engage with chuckleheads. 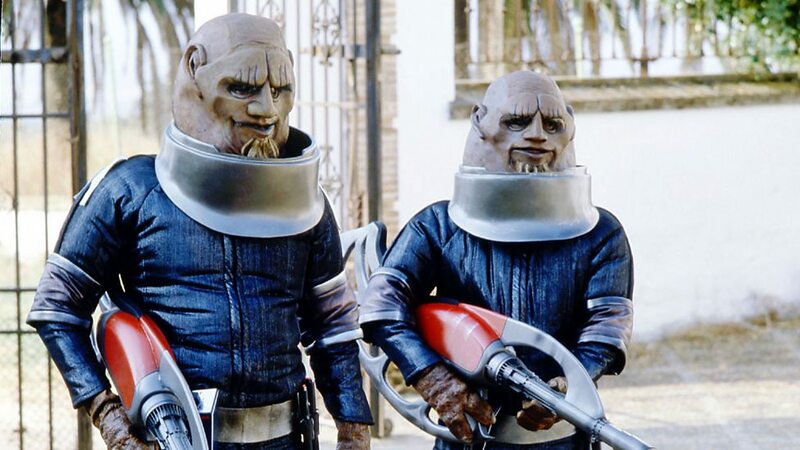 skifflebits wrote: Would you consider working up the Sontaran gun and helmet from "The Two Doctors?" Sure. If you or someone else actually need it for a custom you're actively working on, and intend to have it printed. Remember, I'm not just building stuff to be building stuff here. If so, I'll need precise dimensions, and a better picture or pictures showing the complete gun prop in as much detail as possible. I found the one below, which gives a pretty good sense of scale, but obscures large chunks of the weapon. I made a blank Sontaran helmet several months ago for CaptainJimiPie, but I believe it was designed to fit the new Tennant era Sontarans. If you're converting an Invasion of Time figure (which I think has the closest neck piece? ), I do have one of those figures myself and can take measurements that way to try to match the helmet to the existing neck. By necessity, it would have to be significantly thicker than normal though. As for the gun, normally I can't do those since they're too small to print properly, but this might be just on the border of what's possible with filament printing. It'd have to be in at least 4 different pieces though, and the fine detail work around the middle almost certainly wouldn't show up unless it was printed in resin.